Homeowners in Eureka MO want the best for their lawns, gardens, and landscapes, as they love spending their free time outdoors together with friends and family. 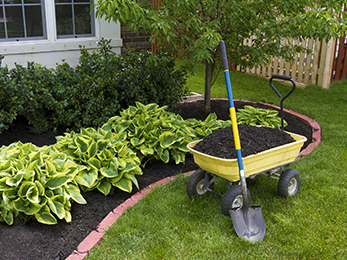 Nevertheless, maintaining a picture-perfect landscape all year long requires hard work, plenty of money, a lot of free time, and a handful of skills. 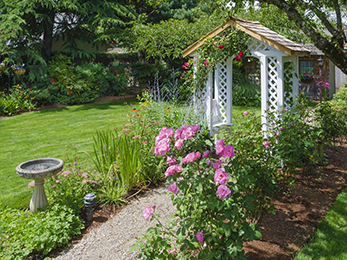 While people here know how to tend to their beautiful flowers and enjoy mowing their lawns on a weekend morning, they also know that only our experts in fertilization and weed control in Eureka MO can build, sustain, protect, and control their gorgeous patches of Paradise. Here is how we perform our “magic” for our clients! The Best Program of Fertilization and Weed Control in Eureka MO is a Phone Call Away! You need our year-round program if you just bought a new property and you are not happy with the state of your lawn and landscape; if worse, your outdoor premises suffered damages or if it suffocates under the weeds, you should invest in a full recovery and enhancement program. You need our 7-step program of fertilization and weed control in Eureka MO if your established landscape does not thrive properly (brown or burnt spots on the lawn, weeds, an infestation of pests, trees not growing well, flowers with faded colors, and so on). You are the type of homeowner who knows a good foundation is the best way to ensure durability; this goes for both your house and your landscape. 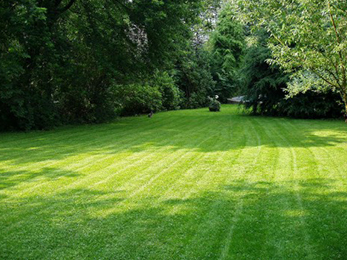 Our program will ensure that year after year, your lawn and garden thrive at their maximum of potential. No matter what category you fall under, our experts in fertilization and weed control in Eureka MO can implement our 7-step program on your property after an initial evaluation. We implement our treatments from early spring to late fall, focusing on exterminating weeds, apply pest management, and treating the soil each season as it needs. We use granular fertilizers of different blends, concentrations, and release times differently on each step to strengthen the roots, prepare the soil, protect the plants, and fend off weeds. What Other Reasons are there to Hire Us? We are a family-owned company with almost 4 decades of experience working in the area providing our community with the best of services. It means we know everything about landscaping in Eureka, its specific weather conditions, the changes it went through, and ecosystem dynamics in the area. More than that, however, we have never compromised our work quality and have always met our clients’ needs while exceeding their expectations. For this reason, many recommend us and hire us year after the next. Last but not least, we are always willing to put our work where our mouth is. If you think our program of fertilization and weed control in Eureka MO is for you, contact as for a free estimate and put us to good work!